I'm here visiting my Mom. 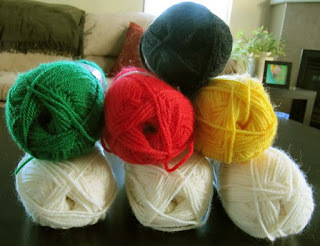 I'll also be doing some Christmas knitting. One of the nice things about moving to Calgary is getting a chance to spend time with my grandson. That includes being able to see him, in person, wear sweaters that I've made for him. 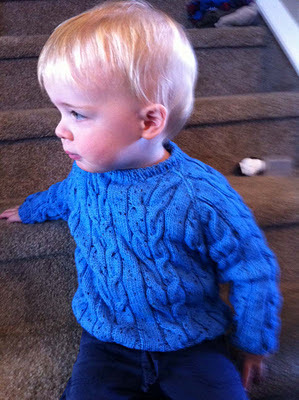 Here he is in his blue cabled sweater. I blogged about it earlier, here and here. I was living in Denver when I mailed it to him. Now that I'm on vacation for a few days I'll be working on a stealth project: a new sweater for Braydon, a Christmas present. The colors are off a bit. The one in the middle is red and that's black yarn at the top. 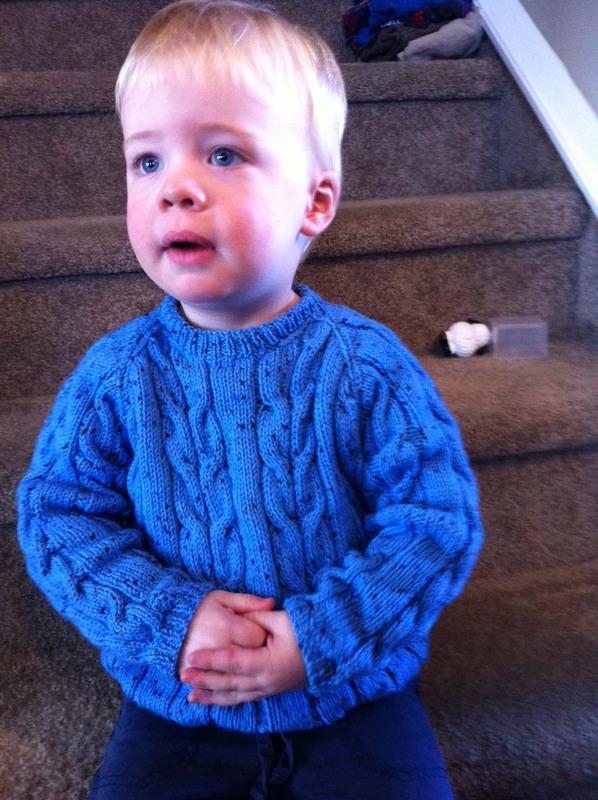 It's Plymouth Encore DK, a practical yarn for an active little boy. Now, can I knit the sweater in time for Christmas? I hope so. He is so cute -- I'd be wanting to knit for him too! Good luck with finishing the project on time -- still 12 full days to go!